At most, Texas will have executed eight men by the close of 2016, the lowest number since 1996. For the first time in 20 years, the number of Texas executions will fall out of double digits this year. 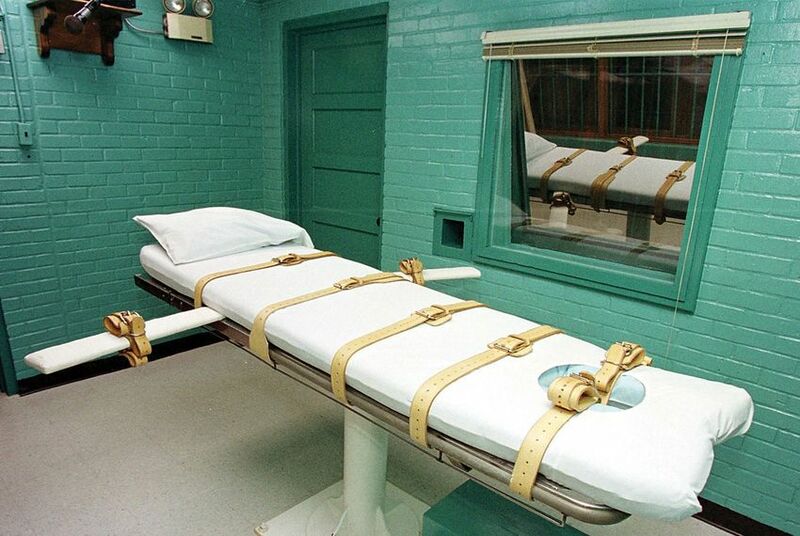 The seven men put to death this year are the fewest since 1996, when executions halted amid legal challenges to a new state law intended to hasten the death penalty appeals process, according to data from the Texas Department of Criminal Justice. Only one more execution is scheduled for 2016. “There is clearly a change going on in Texas,” said Robert Dunham, executive director of the Death Penalty Information Center. Judges and appellate courts rescheduled or stopped executions 15 times for 11 people in 2016. At least two judges on the Texas Court of Criminal Appeals have said better lawyering by defense attorneys — including bringing forward better arguments and challenging “junk science” convictions — has contributed to the recent stays. “Texas courts are now aware of the dangers associated with forensic sciences and are closely scrutinizing this evidence,” said Greg Gardner, a capital defense attorney who represents John Battaglia, the man scheduled for the last execution of the year for killing his two daughters. Two death penalty cases pending in the U.S. Supreme Court could also be affecting decisions on setting execution dates, Dunham said. Duane Buck and Bobby Moore are currently fighting their death sentences in the nation’s highest court. Some experts think the enforcement of the death penalty — carrying out executions — is an indicator of the status of the punishment. The number of new sentences dropped significantly after 2005, when life without parole became the alternative for jurors in death penalty trials, but the past two years have seen even lower numbers. Texas counties have sentenced three men to death this year, and only two received the penalty last year, according to TDCJ. Robert Kepple, executive director of the Texas District and County Attorneys Association, said the answer may be as simple as fewer murders. Murder rates in Texas steadily decreased from 1996 to 2013, dropping from 7.7 to 4.4 murders per 100,000 people, according to FBI crime data. The rate increased slightly the next two years. Aside from lower murder rates, national support for the death penalty is also declining, according to a recent poll by Pew Research Center. Just under half of Americans support the punishment, the lowest number in four decades. The poll did not highlight Texas in its report. While Texas is seeing a record low in executions, the country’s dip is even larger. Nationwide, there have been 16 executions, the fewest in 25 years, according to the Death Penalty Information Center. The decrease in Texas plays a major role in the national scope — the state usually accounts for the largest share of the country’s executions — but issues with finding and using lethal injection drugs and a U.S. Supreme Court ruling that invalidated Florida’s death sentencing process have affected the numbers as well, Dunham said. In Texas, there are currently 243 men and women on death row, the lowest in almost 30 years, according to the Bureau of Criminal Justice Statistics. The number peaked at 460 in 1999 and has been steadily dropping since. Experts were unsure if the drop in executions and new sentences would continue in the future. The numbers seem to ebb and flow, Kepple said. More than five months passed between Texas executions, an unusual gap for the nation's most prolific death penalty state. The Texas Court of Criminal Appeals halted the execution of Jeff Wood — a man who never killed anyone — six days before he was set to die by lethal injection.